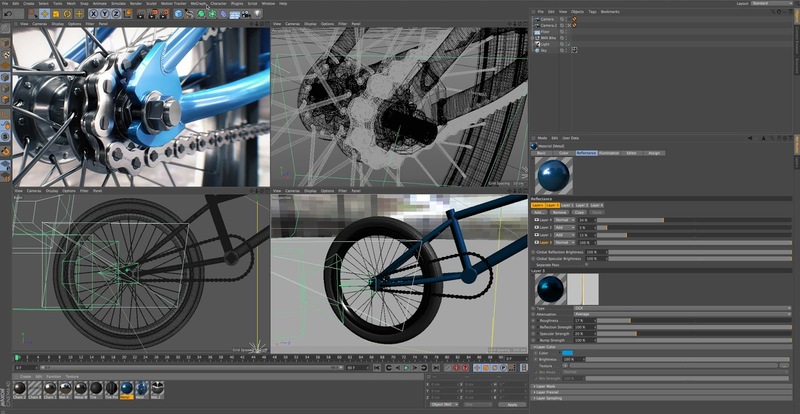 [ #Cinema4D #C4D ] MAXON has announced Cinema 4D Release 17 (R17), a milestone release of its cornerstone 3D animation, graphics, VFX, visualization, and rendering software. Cinema 4D R17 delivers new, expanded and completely reworked features for exceptional performance allowing creatives to more easily and efficiently manage and create outstanding content. Central to Cinema 4D R17 is the new Take System that provides complete and flexible scene handling to manage render layers and animation variations. Also included are new Lens Distortion tools for improved motion tracking, and completely reworked Spline Tools for a more efficient workflow for manipulating points, lines, tangents, arcs and more. New Spline Tools: The completely reworked Spline Tools in R17 provide artists with added control for manipulating points, lines, tangents and arcs more intuitively. Users can leverage Boolean operators like Intersect, Subtract, Union, And, Or for an even faster workflow.